HSS has experience processing data collected from a wide variety of sensors including Light Detection and Ranging (LiDAR). HSS can provide data processing and analysis services for acoustic data as well. 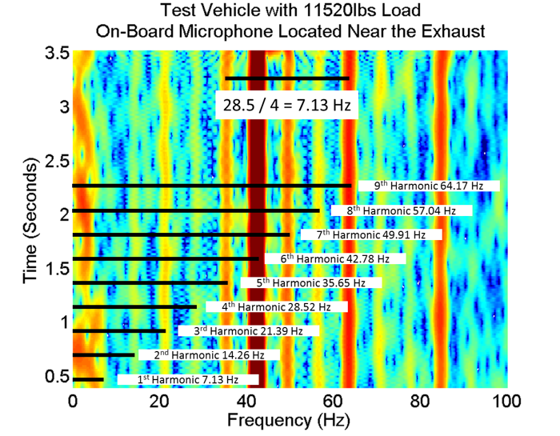 The image above shows an example of our acoustic analysis of vehicle engine noise. 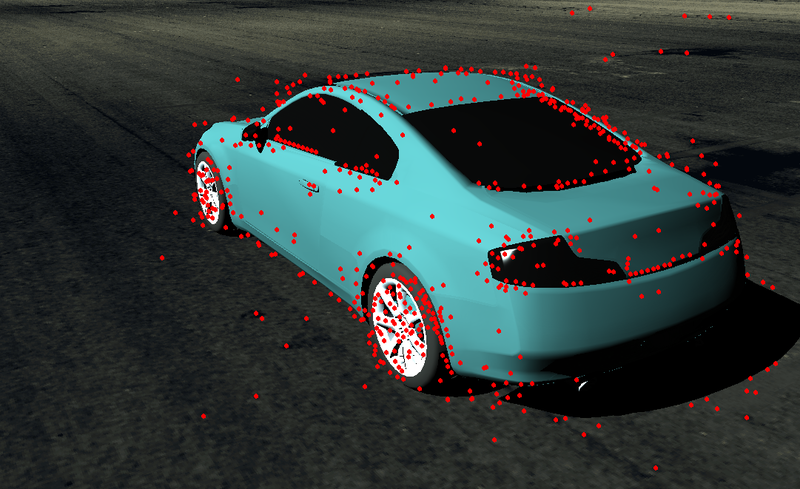 HSS has extensive experience developing structure from motion algorithms. The image above shows an example of an algorithm developed by HSS to identify correspondence points in consecutive video frames. 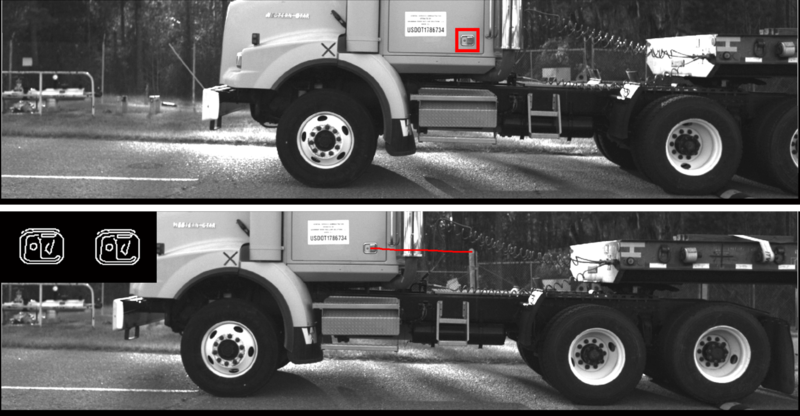 HSS has developed multiple video tracking algorithms. 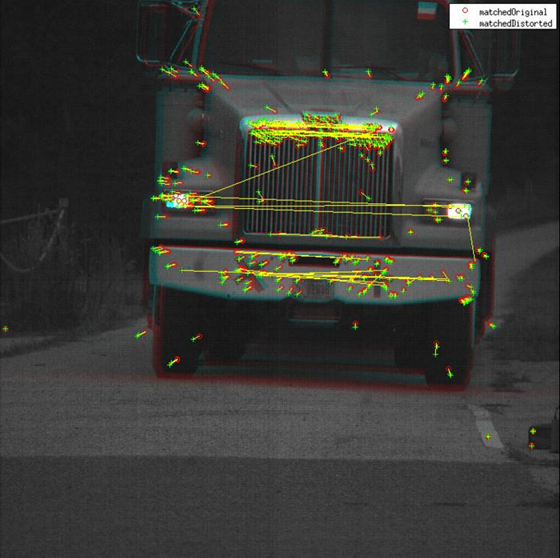 The image above shows an example of an algorithm developed by HSS to track features on a vehicle throughout a video with sub-pixel accuracy. 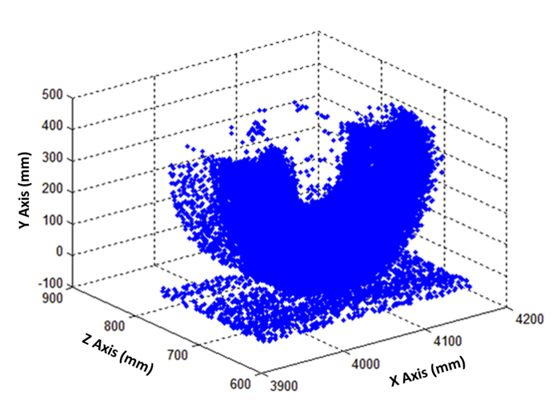 HSS has experience processing and exploiting accelerometer data. 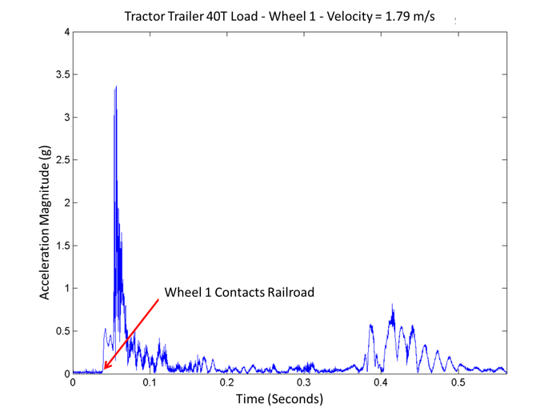 The image above shows data from a ground-based accelerometer measuring railroad track vibrations caused by a tractor-trailer. HSS personnel are proficient at building 3D models of scenes and sensors which are used to simulate accurate imagery. These models are extremely useful in understanding phenomenology and developing algorithms.